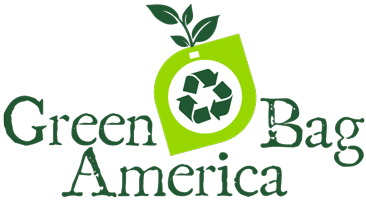 Green Bag America makes it affordable for both small and large businesses to go green! We’ve successfully merged the concept of function with the notion of fashion. We specialize in creating eco-friendly reusable bags with stunning, professional silk screen, heat transfer, and full color printing options to showcase your company logo or artwork to represent your brand. With Green Bag America’s reusable bag products, organizations can improve their company image while simultaneously offering clients and customers with attractive shopping and promotional bags that act as a free walking advertisement for your business. Our eco-friendly bags are a cost effective marketing and advertising solution for socially conscious companies joining the green movement. Currently, Green Bag America offers products and services to business owners that are 30 to 40 percent lower than what is being offered by other companies providing similar services. No matter the size of your budget, Green Bag America can create a custom reusable bag with your choice of style, color, size and printing options to suit your needs. Green Bag America was founded on the belief that change can happen with hard work. Like many others, we are passionate about helping the environment and educating consumers while helping businesses grow. It’s why we went into the reusable bag business in the first place. We work hard to create quality bags that will hopefully change people’s beliefs and attitudes towards the environment one bag at a time. Become an eco-friendly business and improve your company image with products offered by Green Bag America: you will see the benefits through increased revenues. Call (877) 224-2299 or email sales@greenbagamerica.com for more information.